We love free food and we love free drinks! Do you like Sonic’s Slushies? if you do you are in luck. 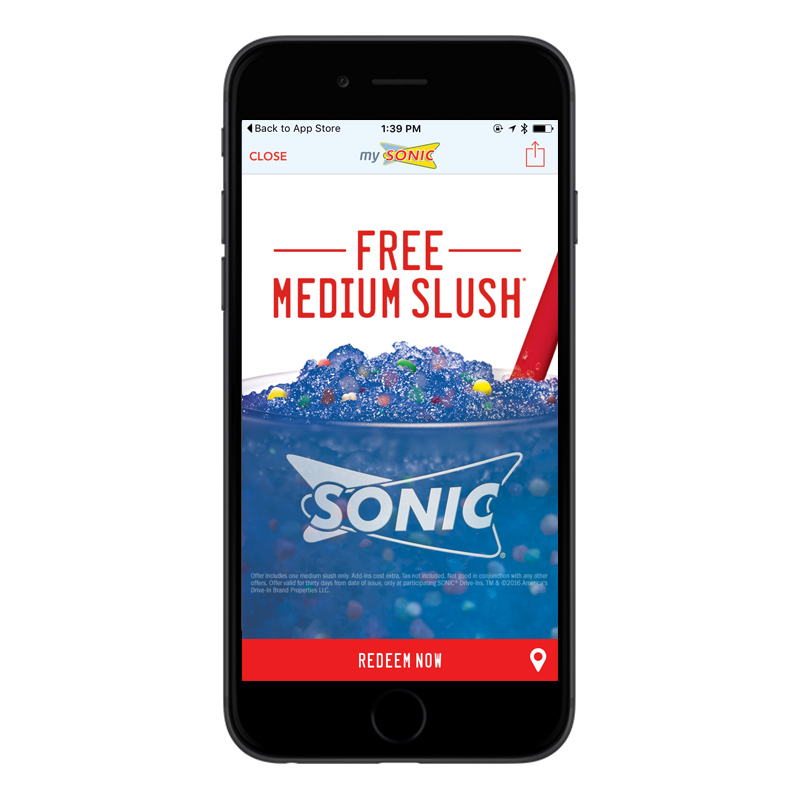 Download the Sonic and app and get a medium slush. Simple right? When you download their app they will give you a coupon for the slush. This is available on the the android and iphone market. So get you slush today at no cost to you.. This Offer is good for one FREE medium slush add on’s cost extra. Must be used 30 days from the time you receive the coupon code.